You are currently browsing the tag archive for the ‘homeschool’ tag. My friend Erica sent me a link to Counting Coconuts, an amazing blog for mothers of small children. The blog is full of creative ideas, projects and inspirations. I especially liked their “sensory tub” ideas. 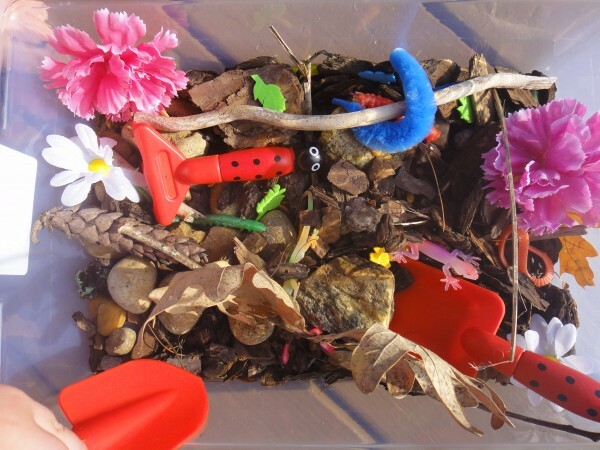 Sensory tubs, are, in essence, plastic boxes filled with stuff joined by a unifying theme. The lady behind Counting Coconuts Blog is very organized. She writes detailed lists and instructions for every tub and project. I hate lists, can’t follow instructions and love to feel moved by inspiration, even though I admire those that are better organized than I am. Like my husband, for example. He puts everything in files. Anyway, this is how we got the idea to do The Earth Project. Firstly, we got a large plastic box. Then we went on a treasure hunt. While the twins were sleeping, my boy and I went outside in search for interesting Earth-themed” items, like pine cones, twigs, tree branches, rocks, dry leaves, etc…We put all of these treasures in the box. Then, we raided the Dollar Store. We bought gummy worms, caterpillars, rubber snakes, fake flowers, a tiny shovel and a fork.We also bought some green paper and cut leaves out of it. 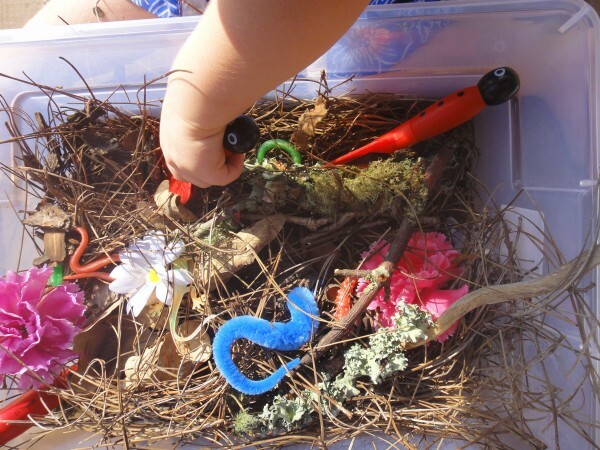 Then, we put some of our dollar-treasures into the box, filled with earthy items and – voila! Project Earth was ready. 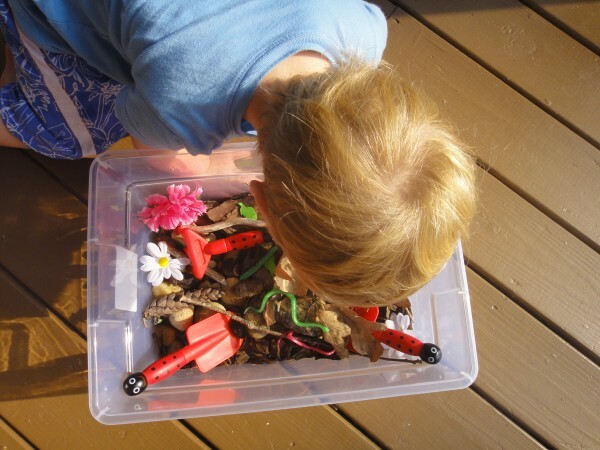 My son loved digging in the box for hours and finding the same worms over and over. He loved wrapping the rubber snakes around the twigs and putting a plastic caterpillar on the rock, so that “he can sunbathe.” If you want to try something like that, remember that nature and a Dollar Store are a winning combo. Then get a bowl and a pot. Give your kid a pair of child-safe scissors and watch closely, as he or she chops the “vegetables” for the “soup.” The child can cut the paper “vegetable” in strips or in chunks or in squares and let those pieces fall into the soup pot. The child can be taught how to finely dice an onion, using a paper vegetable or how to thinly chop parsley. They can learn which vegetables work for the soup and which ones do not. Later that evening, you can feed them a real vegetable soup and they are likely to have a lot more interest in it than they normally would. The bowl is for the salad. You can make a vegetable salad, by cutting the veggies into thin strips and you can also make a “fruit salad, “by cutting bananas and slicing apples. While you are playing these games, you can teach your child about how fruits and vegetables grow and how they make us strong. This game is good for fine motor skills (hence the use of the scissors,) color recognition, patterns, grouping objects that are alike and learning some basic cooking skills. You can take it one step further and glue the fruits and the vegetables back together, assembling the pieces on a white sheet of paper. In this case, draw a large basket and put all the newly glued produce in it to make a nice picture. My son loves to build. So, I bought him three different kinds of blocks and eventually, he got bored with all of them. It was time for a new project. We cut different shapes out of colored papers. We made rectangles, triangles, squares and circles. Then, we put them all on a table and started building a town. We made houses, trees, cars, trains and people. My son loved the game! The best part is that this game is portable ( just put all the pieces in a ziploc bag and take it with you to a restaurant or on a plane ride.) 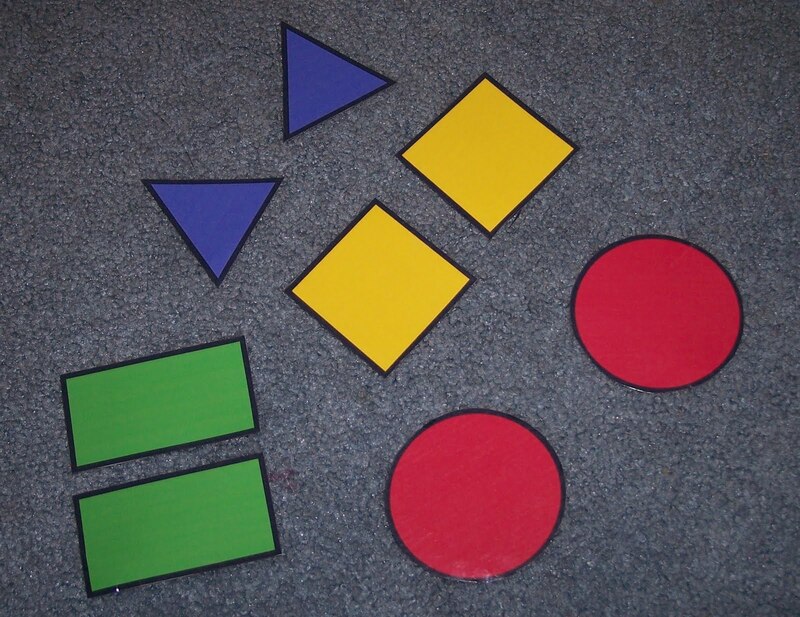 While building , you can also discuss shapes, sizes and colors, therefore, learning them. You can count shapes: “Find how many circles we have?”or count shapes and colors: “Find how many blue squares we have?” … etc. Additionally, this is a perfect rainy day activity. My son will be three years old in less than a month. Most of his buddies are already in preschool or are starting preschool this fall. Supposedly, going to preschool can help the child’s social development and teach them colors, numbers, letters and some basic reading and writing. Preschool can also help with learning arts and crafts, since there is a lot of coloring and working with play dough going on. I don’t have anything against preschool, especially if you have an only child, who is beginning to get bored at home. Or, if you want a little break from your kid to do yoga, hair and nails. Every Mom deserves some free time! However, I noticed that many of my friends had second babies by the time their first ones turned two or three years old. This way, they can send the oldest to preschool and spend uninterrupted time at home with the youngest, so that the youngest feels as special as the oldest felt, when they were a baby. This sounds logical. Unfortunately, this thinking appears to be against nature. The second child was not meant to get the same attention and one-on-one time as the first one. This is why they were born second. They were meant to have an older sibling to learn from (something the first one didn’t have.) If you send your older child to preschool and play at home with the little one, you are creating an artificial environment for both. You are robbing the younger one from hours of learning from the older one and you are not letting the older one learn how to lovingly share. Children learn from each other. They also learn to adjust to the new family structure. The older one needs to understand that the younger one is here to stay and the younger one needs to learn that the older one needs his or her time with Mommy, too. The problem of socialization with the kids outside of family can be easily solved, as well. You can join a local mommy group on meetup.com, you can go to playgrounds, you can enroll your child in various classes and activities. You can organize your own playgroup, where you and five other mommies agree to meet at a specific time in a specific place once a week. I know many will disagree with my view, but I believe if a woman is a stay at home mother, she should stay home with ALL of her children, not just some. What do you think? 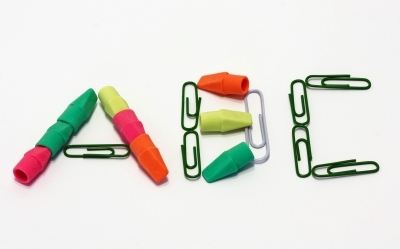 Firstly, we cut letter shapes out of colorful paper. If your child is a toddler, you will probably need to hold his/her scissors, while they are cutting. Make sure the scissors are toddler-safe. Then, we move the letters into groups, which we sort by color. 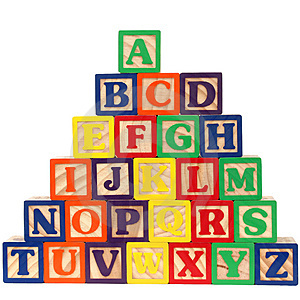 This way, we end up with a pile of green letters, a pile of blue letters, a pile of yellow ones, etc… Then we make words, putting the letters from each pile together. Finally, we group our words together. We move all of the “fruit” words into a group and we move all the “vegetable” words into another group. Someties, we take this one step further and “make a salad” or a “soup.” We think about the ingredients for the dish and move the names of those ingredients together on the table. Since toddlers are notorious for having short attention spans, this game can extend over three hours. We make some letters, we play with the trucks, we make some words, we play with our brother and sister, we make some more words, we throw a little tantrum. 🙂 This game teaches fine motor skills, color recognition, shape recognition, letter recognition, object recognition and conceptual thinking. When we are done, we put all of our letters in a box, so that we can continue playing this or a different letter game later. Mr. Big Baby sees cars everywhere. He tries to make every art project we do about vehicles. If we sit down to draw a flower, he wants to draw a small flower next to a big car. At almost three years old he already knows every model and every make of every car. But he doesn’t know how to write numbers well. Every day, we create a large number on a piece of paper with an object that this number resembles. For example, one is a tree with a branch, two is a swan, three is a snake, four is a house. Then, we draw cars next to the numbers. If number one is a tree, then we draw a parked car next to it, if number six is a purse, we draw a car around it, to show that the purse is left in the car. To create the numbers and the objects, we use painting, drawing, glitter, cutting and pasting: anything my son feels like at the moment. 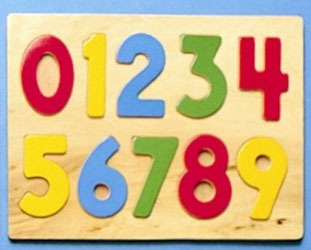 The key here is to make learning the number fun for the kid. This project teaches kids to think creatively, to use their imagination, to paint, draw, cut and paste and use play dough. Most importantly, after you spent thirty minutes on creating a number eight that looks like a lady, you are not likely to forget number eight. Number seven is my son’s favorite: We made a chin-up bar out of play dough and drew a figure of a boy on it. Then we took my son’s picture, cut his face out and pasted the face on the boy’s figure. And then my babies tried to eat the play dough, but it’s a whole other story! The site features an extensive collection of more than 300 Great Courses in diverse subjects and fields , ranging from history, to science, to philosophy, to mathematics, to literature, to economics, to the arts. The Great Courses consists of series of video and audio courses led by the world’s best professors from the Ivy League schools. 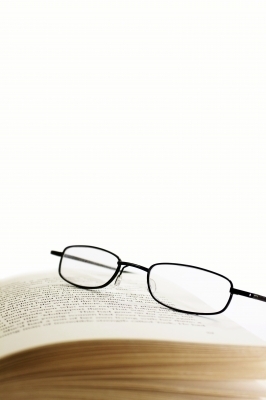 If you have a moment to learn something new, I highly recommend you try The Great Courses. Their courses also make a great gift.